From the Sorcerer's Skull: 3 Pitches 4-Colors 1: OMEGA TEAM! 3 Pitches 4-Colors 1: OMEGA TEAM! All of the world, individuals with anomalous and fantastic powers are increasing in number: mutants or victims of strange accidents, these individuals are feared and ostracized. A secret organization located beneath a governmental office building has need of these so-called freaks. The voice of Control describes the coming threat: The work of a brilliant Dr. Rankin has clearly indicated the danger. The ever-increasing number of “freaks,” extraterrestrial contacts, and weird phenomena, can be plotted on a curve showing inexorable progress nothing less that the destruction of humankind as we know it, if it’s trajectory is not altered. A team of special individuals--freaks--can bend this curve. 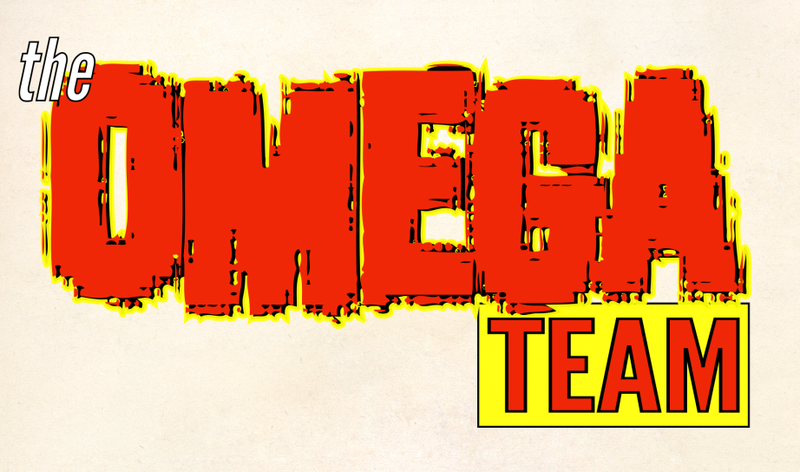 They are the last line of defense: the Omega Team! Style: Silver Age veneer on Modern Age construction; like Arnold Drake writing Grant Morrison’s Doom Patrol, or maybe Steve Gerber writing Drake’s Doom Patrol. Inspirations: Doom Patrol, Challengers of the Unknown, Atlas-era monsters/horror, Xombi, Thriller, Outer Limits, X-Men. Write one up in this format, and I'll use it! 3 Pitches, 4 Colors 3: Agents of A.X.E.